The latest treatment in advanced non-laser skin resurfacing for nutrient-rich skin. The “HydraFacial” treatment is the Latest breakthrough in aesthetic technology and advance in non-invasive, non-laser skin resurfacing and rejuvenation. HydraFacial MD treatment utilizes super-serums filled with antioxidants, peptides and hyaluronic acid to boost hydration, help address the signs of aging and protect skin from environmental leaving it recharged, renewed, and invigorated.Your skin is most beautiful when it’s healthy. That’s why our focus is on restoring your skin to its healthiest state by removing impurities and replenishing your skin with essential nutrients. Step 1: Cleansing & Exfoliation – Dead skin cells are removed to reveal healthy new skin. Step 2: Acid Peel – The gentle peel helps loosen dirt and debris from pores without irritation. Step 3: Extractions – Painless, automated extractions use vortex suction to clean out pores. Step 4: Hydration – Antioxidants and Hyaluronic Acid are Vortex-Fused™ to nourish and protect. 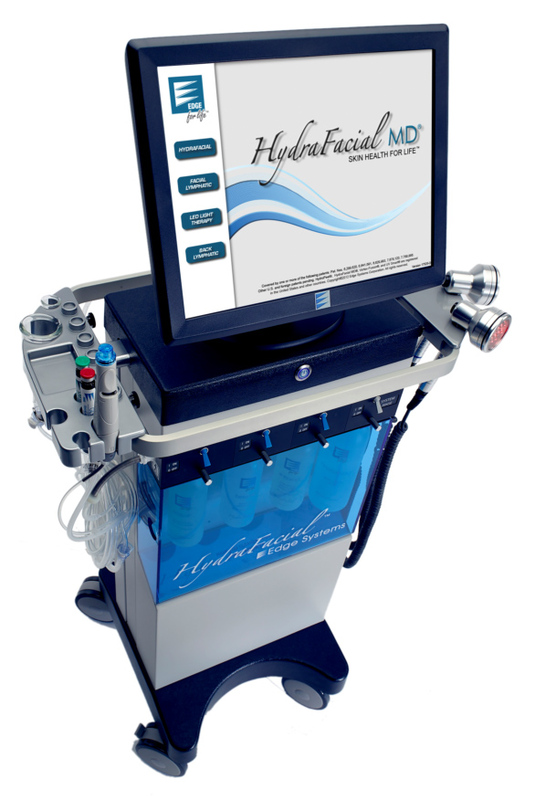 Step 5: Protection – The HydraFacial™ Daily Essentials™ help maintain and protect your results.